Dan spent 30 years in Consumer Packaged Goods (CPG), including 12 years as Vice President during his 20 year tenure at Conagra Brands where he implemented their trade promotion optimization and Enterprise Resource Planning (ERP) solutions while leading multiple spinoffs. As a partner at ahatis, he leads the CPG practice to help clients around the critical areas of strategy, trade, cost management, and M&A. 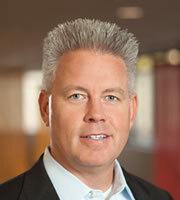 Prior to Conagra Brands, Dan spent 6 years with Accenture. Before joining Conagra Brands, Dan worked for Accenture in Los Angeles for 6 years. Dan received his Master of Business Administration at the Peter F. Drucker Claremont Graduate University and his Bachelor of Science in Finance at Brigham Young University.